Port City Brewing	Alexandria, Va. 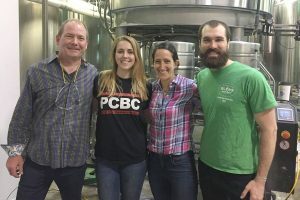 Port City Brewing Company is proud to be small and Independent. We cherish our ability to determine our own future: which beers to brew, when and where to sell them, everything. As an independent brewery, Port City Brewing controls its own destiny, we are not a small component of a corporation’s larger plans. Independence allows us to be nimble and responsive to the market; we brew what we want rather than what tiers of management dictate. Port City drinkers are a loyal bunch and not shy about telling us what they’d like to see next. We would not compromise that ground-level connection by becoming part of some giant international conglomerate. Our customers know our team, from the part-time Beer Guide to the founder; we have created strong, authentic personal bonds that no corporate marketing campaign could replace. Our idiosyncrasies, personalities, and preferences make their way into the product and imbue the company with spirit and soul. Selling out would sacrifice that very spirit and soul. We also believe that beer drinkers value independence as much as we do. Craft beer was born in the spirit of Independence. It came from beer drinkers wanting more from their beer: more flavor and more choices. This Independent spirit is what has fueled the growth and excitement of craft beer; this is what makes craft beer special. We embody that Independent spirit and want it to live on and thrive!